Lake Garda is a beautiful lake located in Northern Italy. It is surrounded by mountains and ancient ruins that date back to the Roman era. The lake also has many islands and is a popular destination spot for tourists. There are many Lake Garda hotels; some are simple while others are five star resorts. You may also want to consider renting out some Lake Garda villas as well. Anyone who is considering travelling to this area during their Italian holidays should have a look at the following overview of some well-known hotels Lake Garda has to offer. Hotel Degli Oleandri is a small, simple hotel located in a scenic, historic area of Sirmione. The hotel staff is friendly, the rooms are clean and the complimentary breakfast is excellent. This hotel is a very good option for singles and those who are travelling on a limited budget. The only downsides to staying at this hotel are that the area is quite loud even at night and staff does not speak much English. Hotel Olivi Spa is not a five star hotel, but it is upscale and provides a high level of service. The hotel has a swimming pool and wellness center. The rooms are clean and quite spacious. While this hotel may not be the best option for a family with children, it is an ideal place to stay for singles and couples. The staff is very friendly and the hotel restaurant offers superb Italian food and wine. Olivi Spa is also an ideal hotel for businessmen, as it has a large, well equipped conference room. 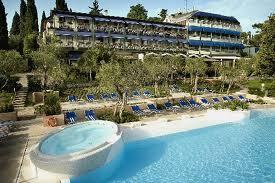 Hotel Gardenia al Lago is a relatively affordable hotel located on Lake Garda. The grounds are spacious and beautiful, the food is excellent and the two brothers running the hotel are friendly and helpful. The hotel is old fashioned in style and while the rooms are a bit cramped, they are clean and have internet. The Bella Riva Hotel is one of the many five star hotels located right on the banks of Lake Garda. The view is spectacular, the rooms and bathrooms are large and spacious and the hotel also provides assistance in booking boat tours of Lake Garda. Bela Riva Hotel has a pool, barbecue area and large beautiful gardens. The rooms have air conditioning and free satellite TV. 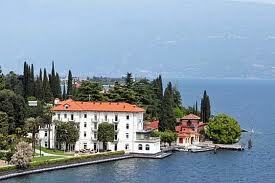 Bella Riva has been voted as the number one hotel in the area for those travelling to Lake Garda on business. Staying at the Boutique Hotel Villa Sostaga is sure to be an unforgettable experience. This four star hotel offers excellent food, wine, and accommodations. Aside from being in close proximity to Lake Garda, Villa Sostaga is also right next to a beautiful national park. The area is peaceful and calm, the scenery is magnificent and the family running the hotel is friendly and accommodating. The hotel has an old-fashioned style of decoration and spacious rooms and bathrooms. Families with children, couples and singles all have found that this hotel is one of the best hotels Garda. Italian lakes holidays are meant to be pleasant and relaxing. Choosing the right hotel is important, as it can make the difference between pleasant Lake Garda holidays and stressful ones. 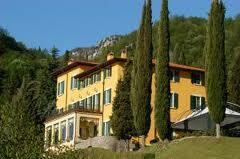 There are many excellent Lake Garda hotels to choose from. It is hard to say which one is best; a lot depends on why a person is traveling to the area and whether a person is travelling alone or with family. 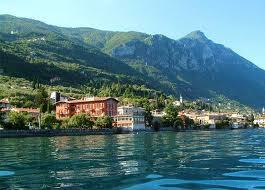 If you are in the area, you should look into staying at Lake Como hotels as well. By taking the time to choose the most suitable hotel, a person, couple or family will be able to enjoy this beautiful area of Italy to the full.